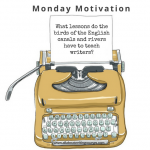 Need some instant inspiration to get writing? Who doesn’t. 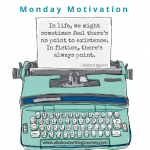 Here are ten of our Monday Motivations, all focusing on story, sure to spur you on. Read them all at once, or one a day, to gain advice, encouragement and, yes, motivation.